I know the real draw of Lush at the end of the year is the Christmas collection, but I am very partial to the Halloween products. It's a shame they're released at the same time really because a) it means I have to spend all my wages buying both collections at once and b) Halloween tends to get overshadowed. 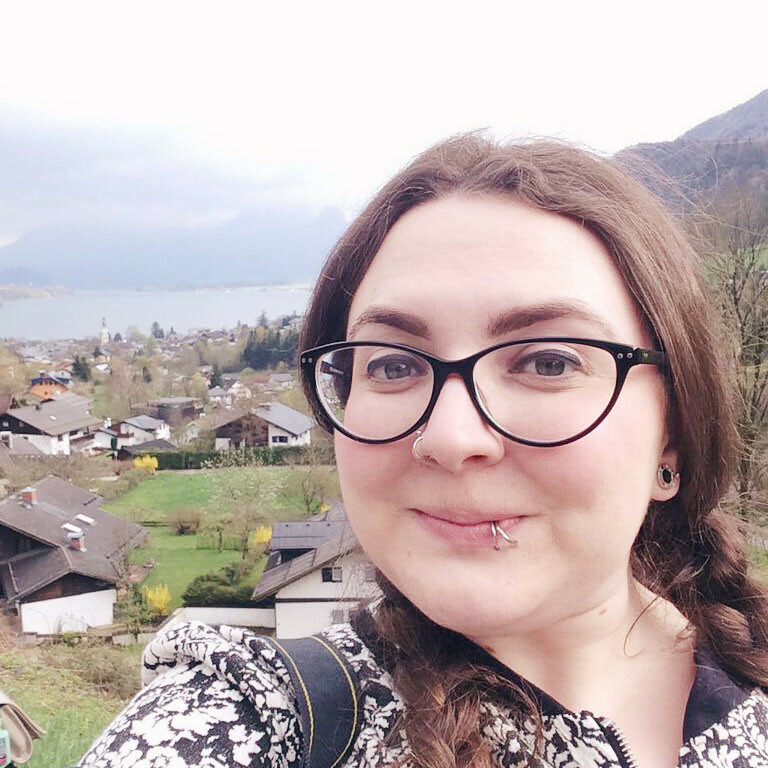 Unfortunately 2015 has let me down a little. 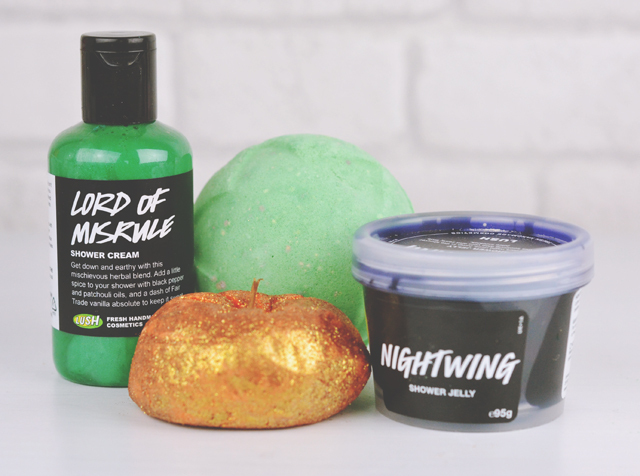 Remember last year where we had a bunch of brand new products and two Bonfire Night bath bombs? 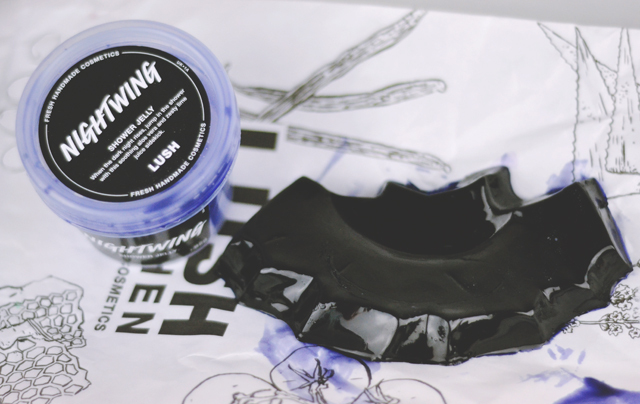 This time round, we have one new product- Nightwing shower jelly- as well as two returning and the Lord of Misrule shower gel that is part of the permanent collection at Lush Oxford Street. It's all a bit underwhelming compared to 2014's offerings. A shame but, of course, each product is fantastic so I'll let them off this once! It wouldn't be October without my favourite diseased organ bath bomb! 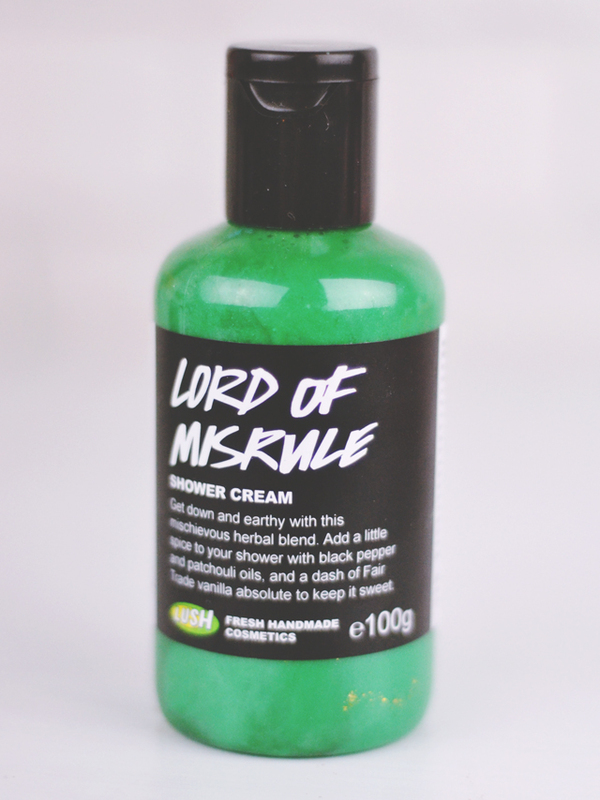 On the exterior, Lord of Misrule is a sage green shade but once it dissolves, it reveals a deep wine centre which leaves the bath water an indulgent Merlot colour. As it slowly bubbles away, it ends up looking like body parts which may not be the prettiest of bath products but at least it's Halloween-appropriate! The fragrance is a gorgeous musky blend of black pepper oil, patchouli and vanilla which leaves a subtly spicy scent on the skin for hours after bathing. Perfectly warming for chilly autumn evenings. 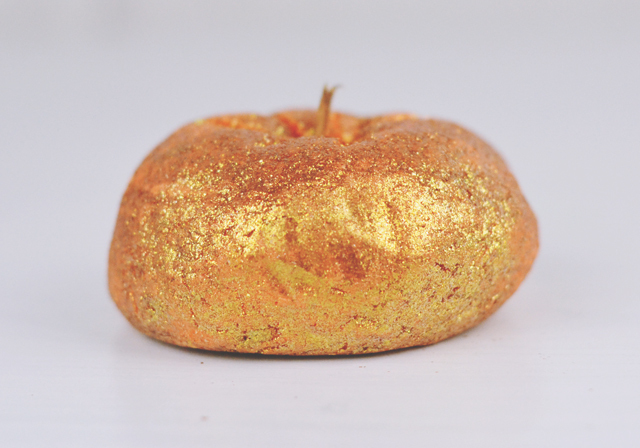 Our pumpkin friend is a little more delicately fragranced than Lord of Misrule with a fruity mix of lime, grapefruit and juniperberry to conjure up that sweet pumpkin-carving scent. Half a pumpkin is more than enough to create bubbles for one bath. In fact, I can get three baths out of my pumpkin. Although he (it... let's stop anthropormising the bubble bar) is insanely glittery when you pick it up, the effect in the bath is mercilessly less overpowering. Instead, my skin was left with a gentle shimmer. Technically speaking, this isn't part of the Halloween collection. It's a permanent member of the Oxford Street gang but has been rolled out nationwide as part of the spooky festivities. Instead of a shower gel, it's marketed as a cream on the basis that it's moisturising and softening, although I didn't notice this effect. Like the Comforter Shower Cream, it does colour my skin (green this time) but washes off easily enough. As you'd imagine, the scent is very similar to the bath bomb with black pepper, patchouli and vanilla, although it's a little sweeter and lacks the musky quality that I love about the original fragrance. There's something you should know about me. I adore bats. It harks back to my emo days but I've never got over my penchant for the cute lil winged things. Needless to say, I was all over this shower jelly. It's absolutely adorable, for one thing, but don't let the deep purple colour trick you- it's a surprisingly fresh, sharp lime fragrance. Shower jellies are always fun- if a little fiddly- to use and feel really soothing so the uplifting scent is just the cherry on top of an awesome Halloween product. Beware, though: like the Lord of Misrule shower cream, the colour does come off onto skin, although it washes off easily enough. Just don't do what I did and open the pot over your pale pink sofa. Yeah. I did a mini-haul myself of the Halloween products and completely overlooked the shower jelly because the product that was out had been touched by practically everyone who walked in there and it really gave me the creeps. Will have to give it second look, I've never tried the shower jellies before. I always love the Halloween stuff and I was also a bit disappointed that it's very samey from last year. 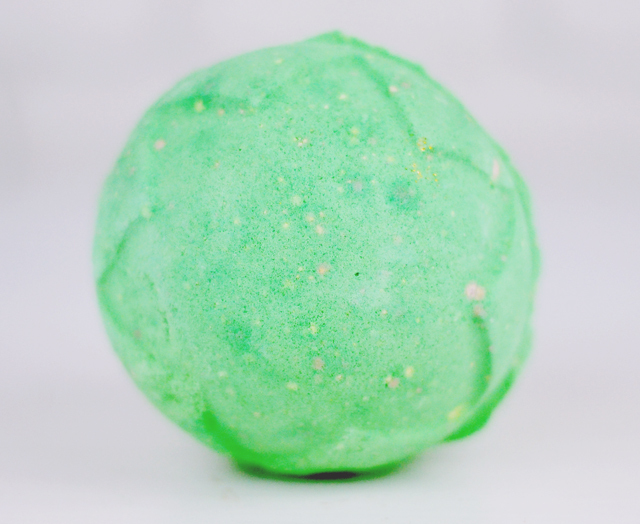 The Lord of Misrule bath bomb is always a firm favourite. I was going to pick up the shower jelly, but I know from past experience that I just can't get to grips with them haha. Been wanting the pumpkin for a while now, love lime and grapefuit scents and it's so great you can get so many uses out of it!